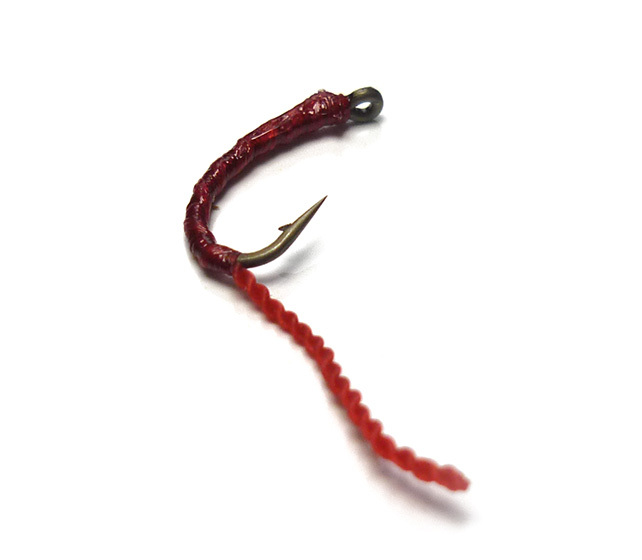 The first larval stage of the chironomidae or buzzer is known by anglers as the bloodworm. This Flexi Floss Bloodworm pattern is a great mid to deep water stillwater fly. Dressed with slim body of flexi-floss, the bloodworm drifts down through the water column and is intercepted by cruising trout. As chironomidaes can be found in the water at any time of the year the trout angler can quite easily fish bloodworm patterns all year round and still catch fish.